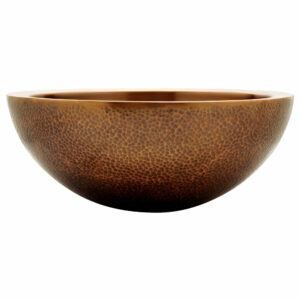 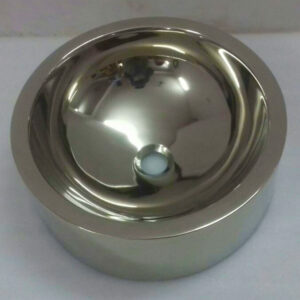 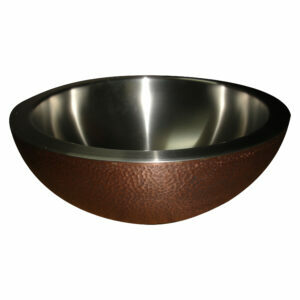 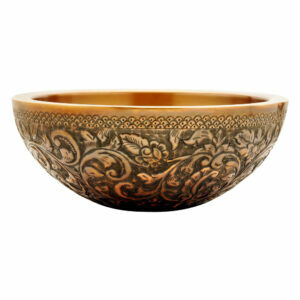 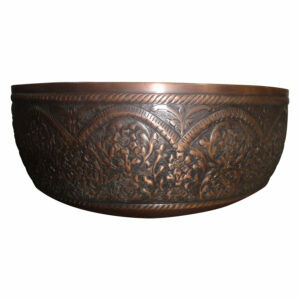 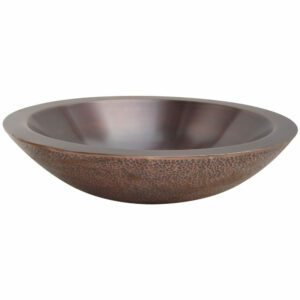 Available in Dark Antique and Light Antique Finish. 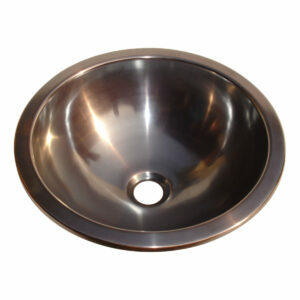 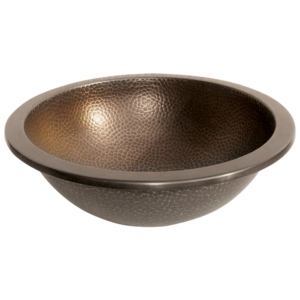 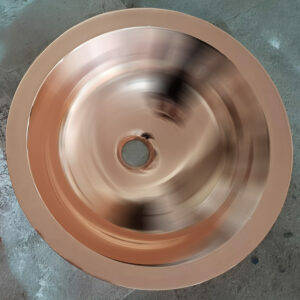 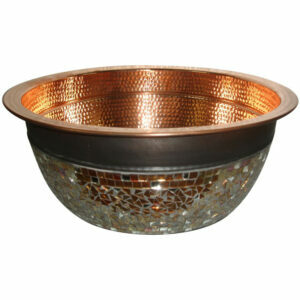 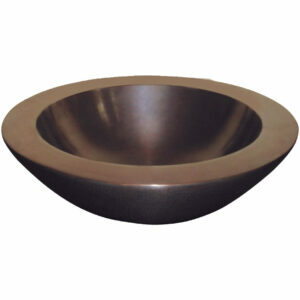 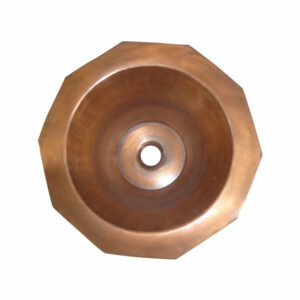 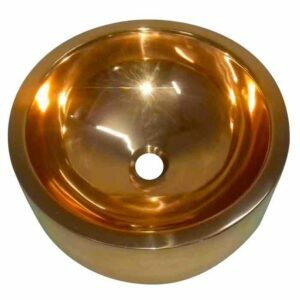 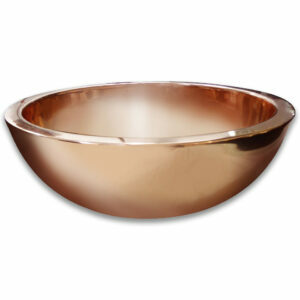 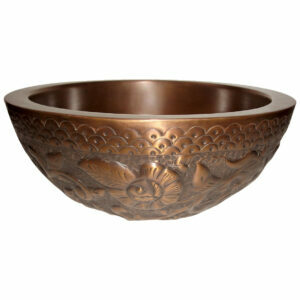 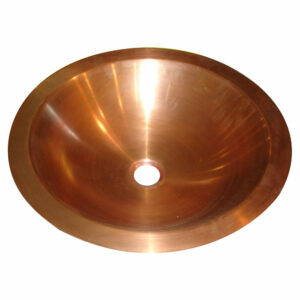 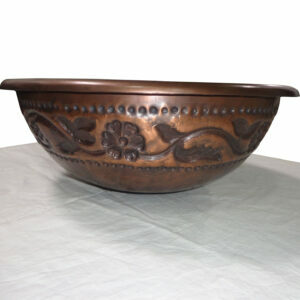 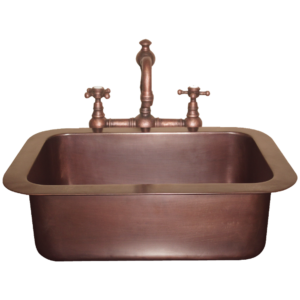 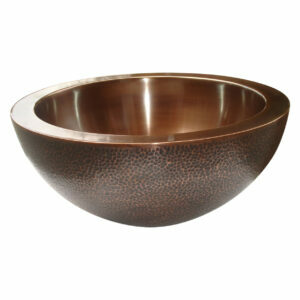 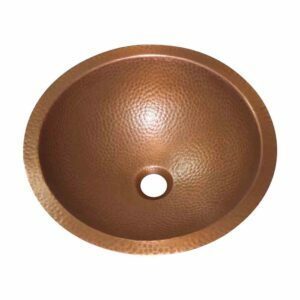 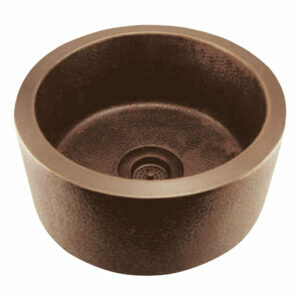 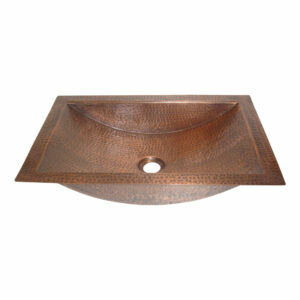 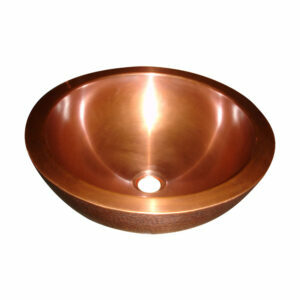 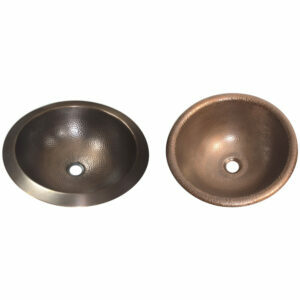 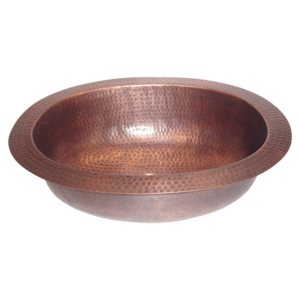 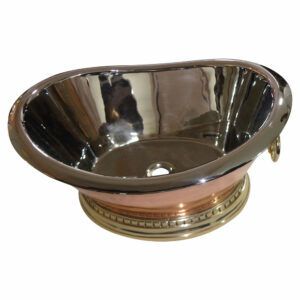 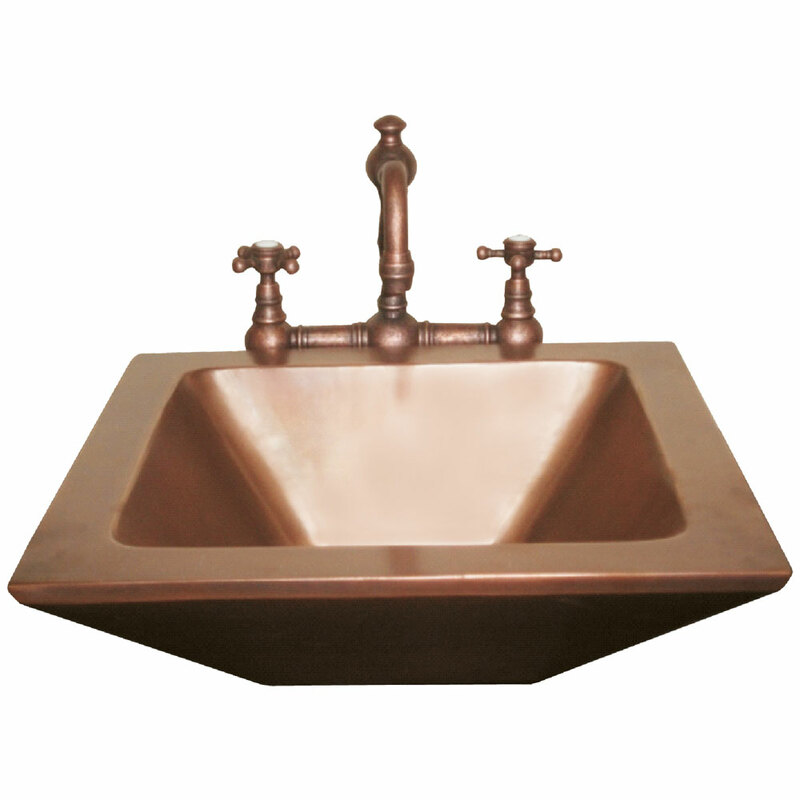 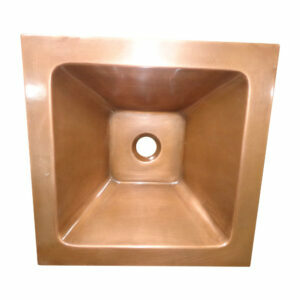 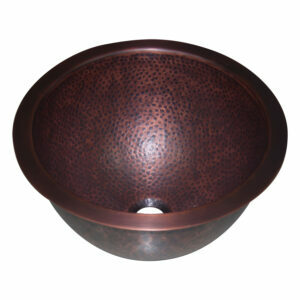 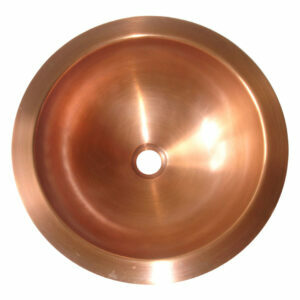 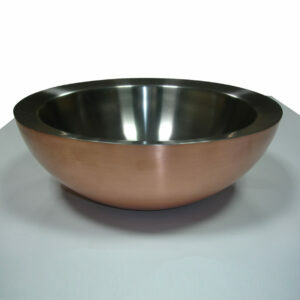 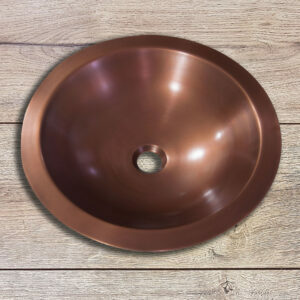 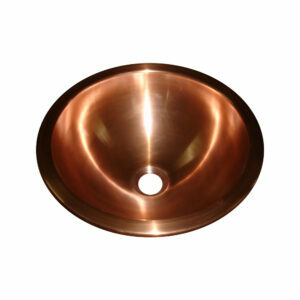 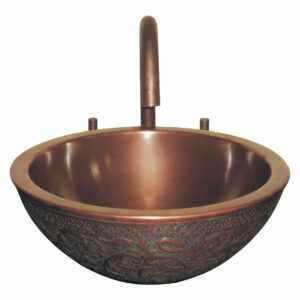 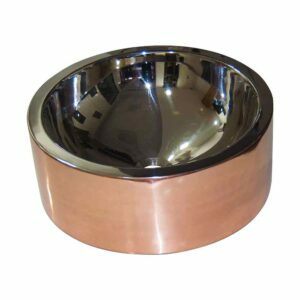 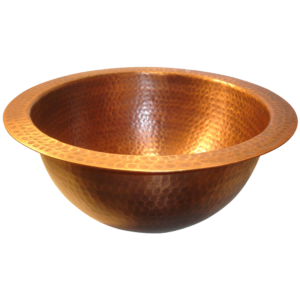 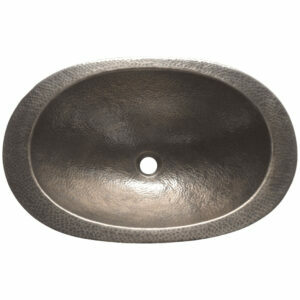 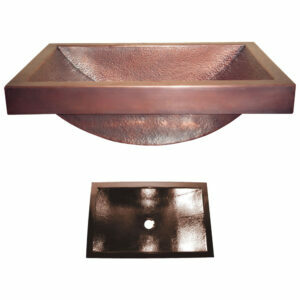 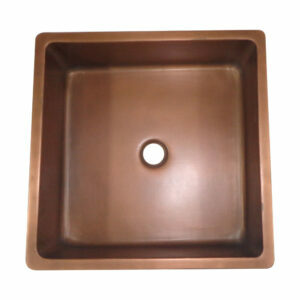 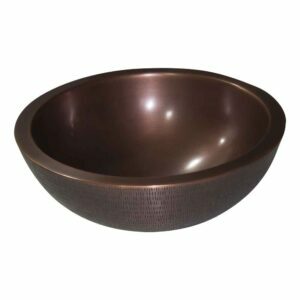 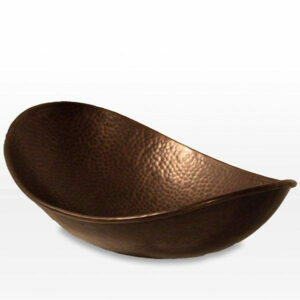 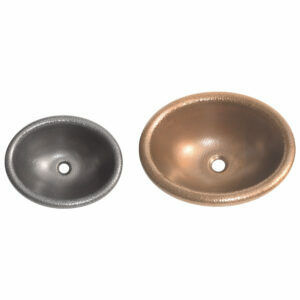 17″ L x 17″ W x 5-1/2″ H.
Rectangular Double wall Copper Sink has tapering depth design. 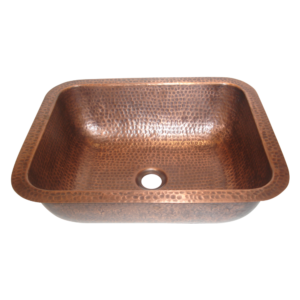 Good for use as a counter-top sink.